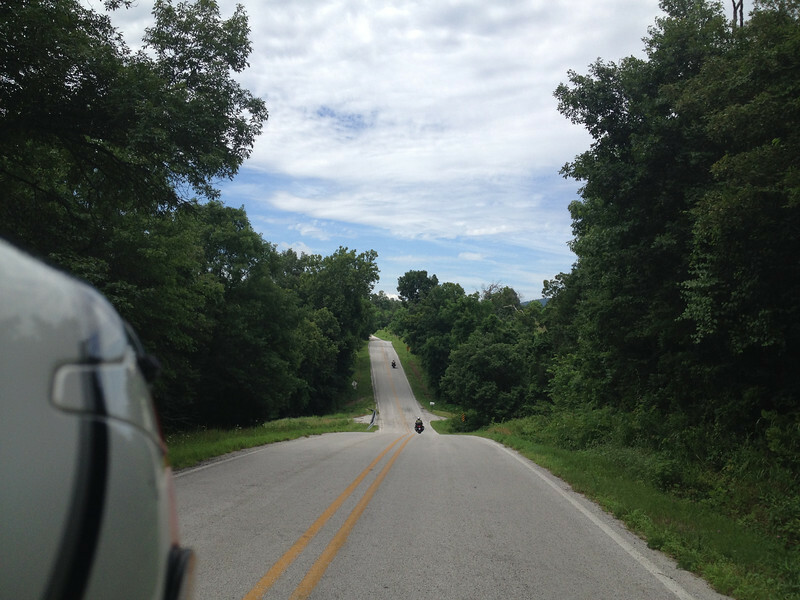 Moto Adrenaline: Arkansas - Oh how we love you! Arkansas - Oh how we love you! It had been awhile since we had done the Arkansas thing. 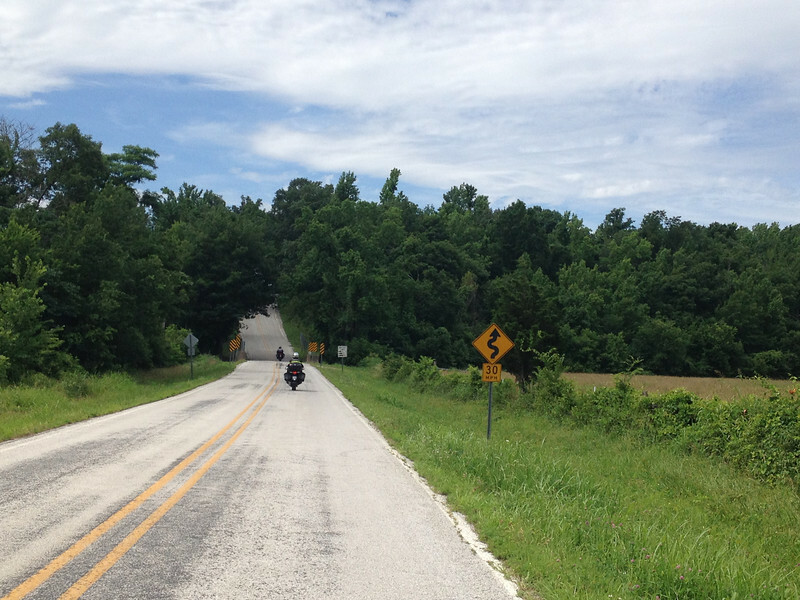 As many of you know, we love riding in that part of the country. the roads are amazing and the traffic light. 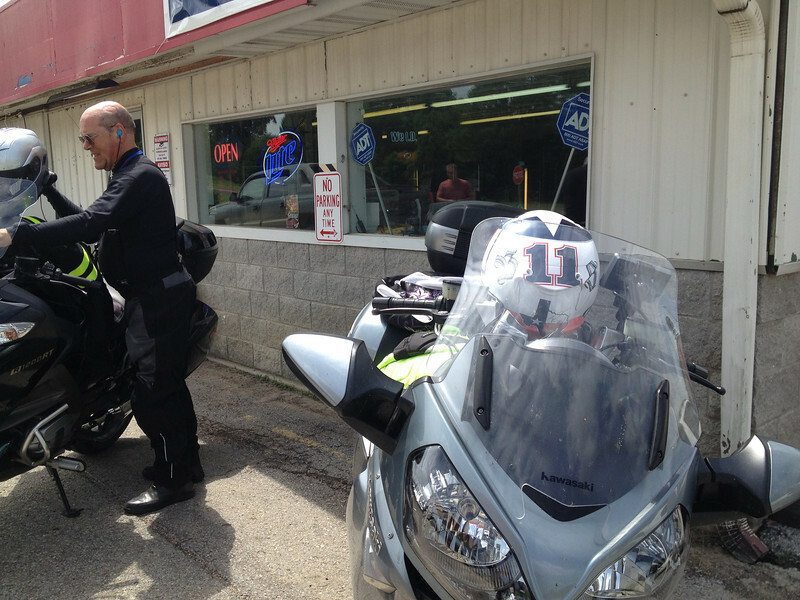 The people are friendly and you can get there on the bike in 9 hours of riding bliss. There is nothing NOT to like about this destination. 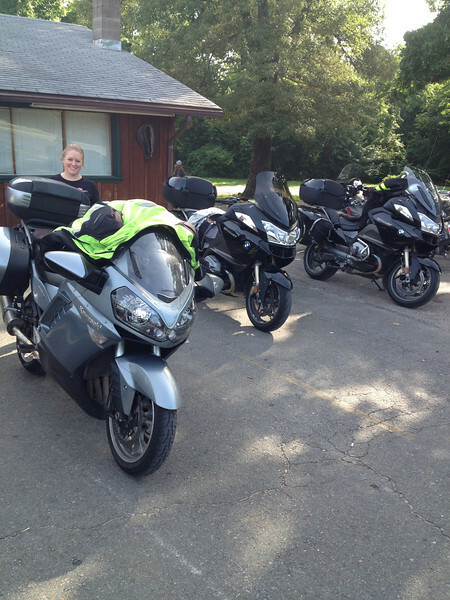 We got together with our friend Jackie and headed up to Mountain View on Monday morning. Herman would join us on Tuesday as he had a prior commitment in the metroplex. Mountain View is always one of our favorite destinations. 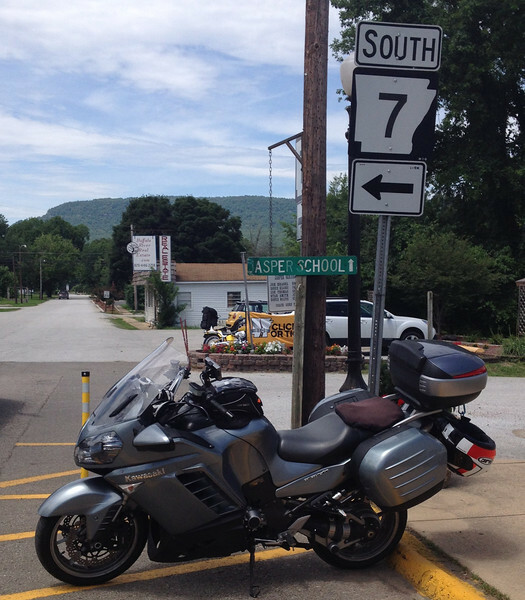 The area surrounding it is motorcycle heaven. 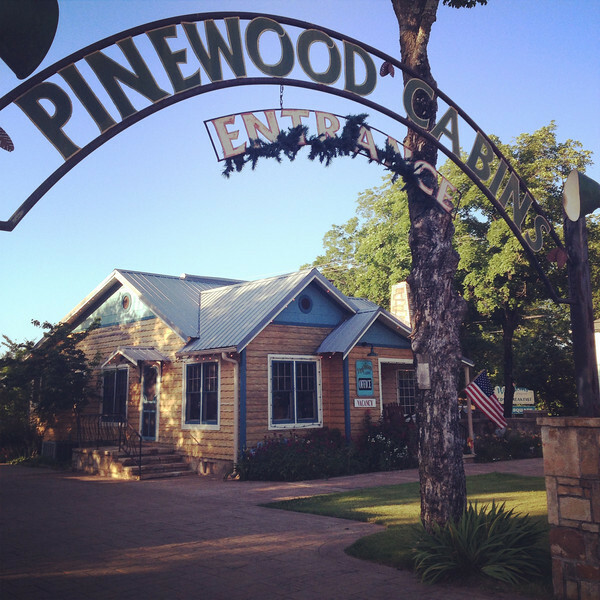 This time we stayed at a place called the Pinewood Cabins. This is a large complex with many different style of rooms. The Lone Star BMW club will be staying here this fall for the Fall Colors ride in late October, so this was a good time to scout out the rooms. The rooms were very nice and the complex is right on the square so you have many options for things like food and fun. 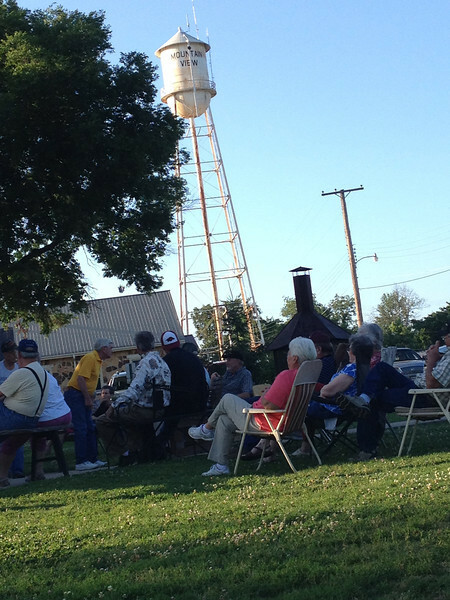 Mountain View is know for its Folk music. people play music every evening in the square. It is a very cool atmosphere to relax and enjoy the evening after some great riding. Make sure you BYOB as it is a dry county. We enjoyed the ride to Mountain View. We took our time and just enjoyed the day. 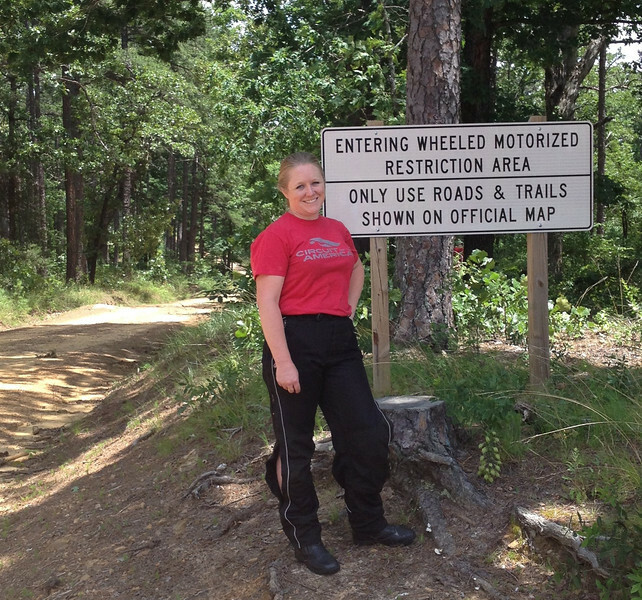 We rode the Talimena scenic drive. I had not done the ridge in a while. 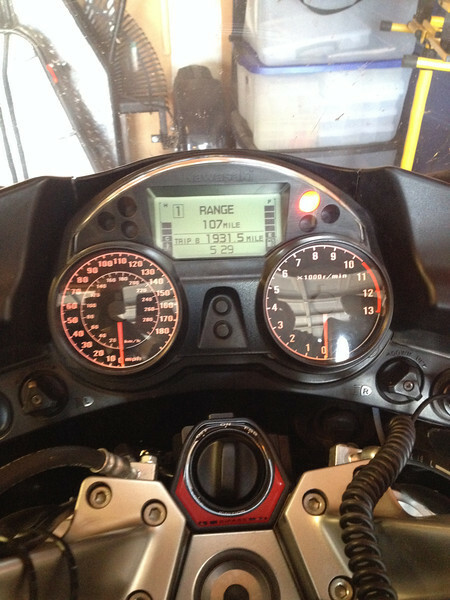 It is always a nice little ride. 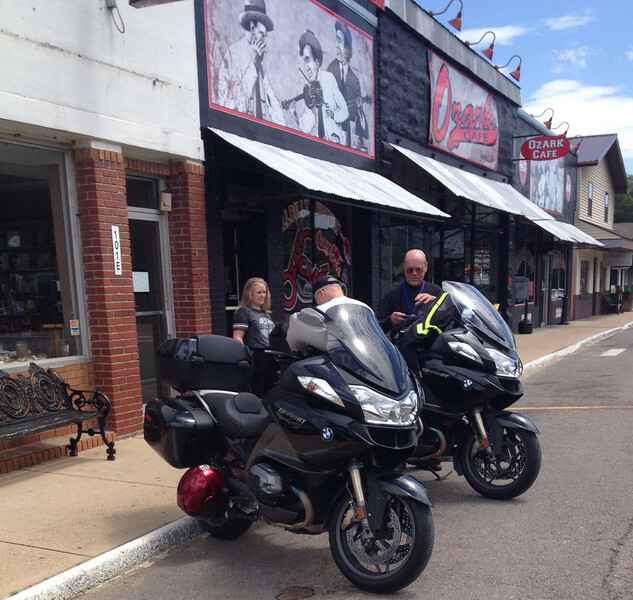 We stopped for a break in Mena and then the fun began. 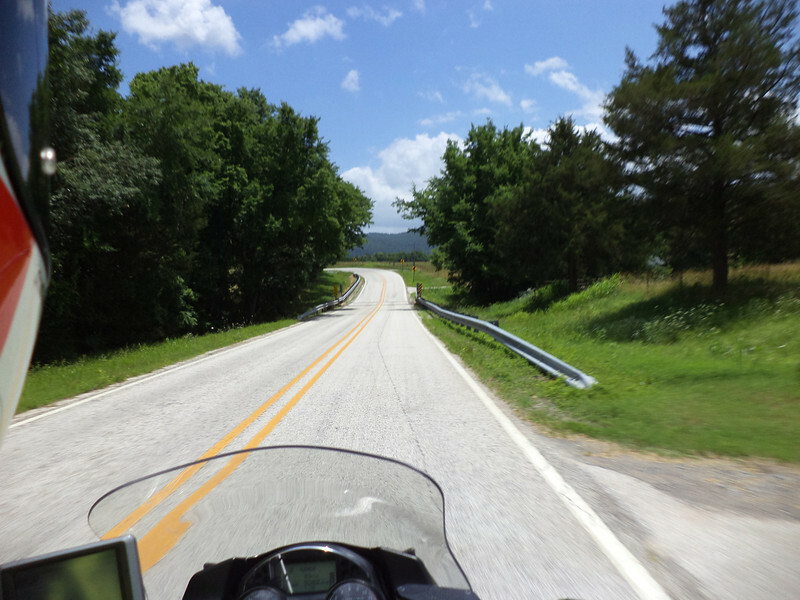 The ride to Mountain View is a great mix of beautiful scenery, Luscious farmland and awesome twisty roads. 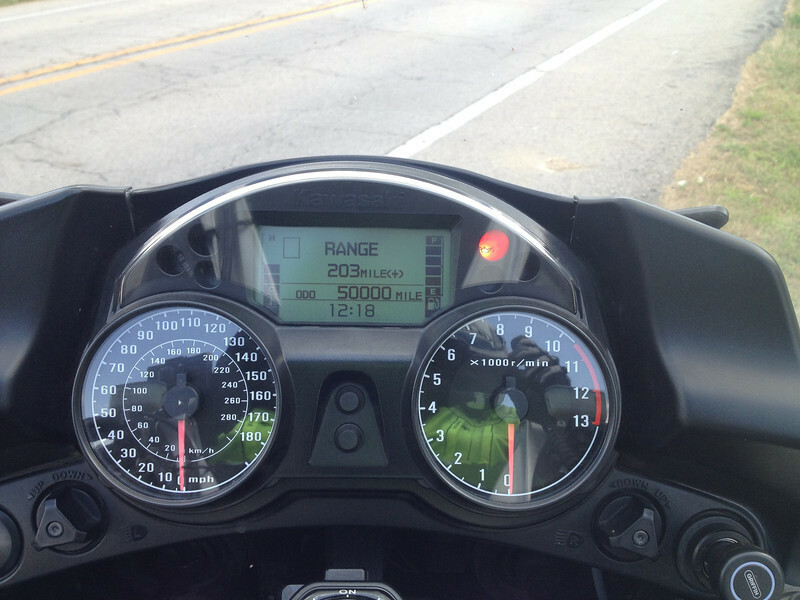 Not a bad way to put 400+ miles on the bike for the day. Speaking of miles. The Connie turned 50,000 on this trip. 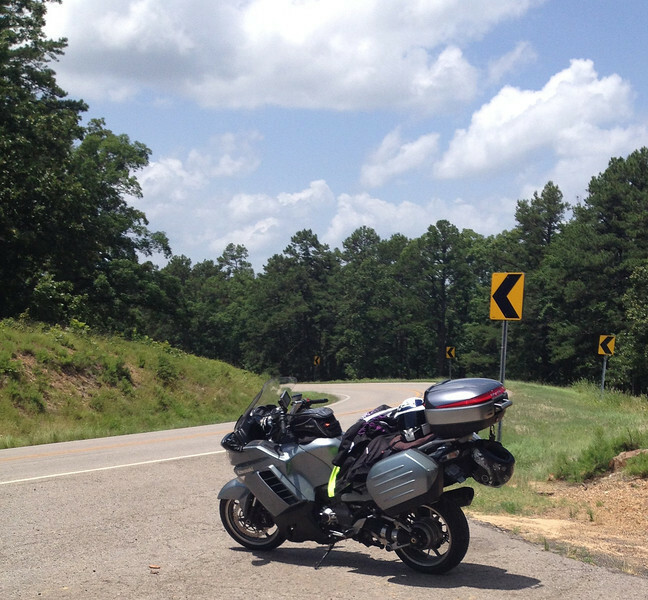 Looking back the bike has hit all major miles stones outside of Texas. 10,000 was in New Mexico, 20,000 and 30,000 were done in Colorado, while 40,000 and 50,000 happened in Arkansas. We love our Connie. We had a nice dinner at a little Mexican place called Mi Pueblito IV. The food was good, nothing special but good. 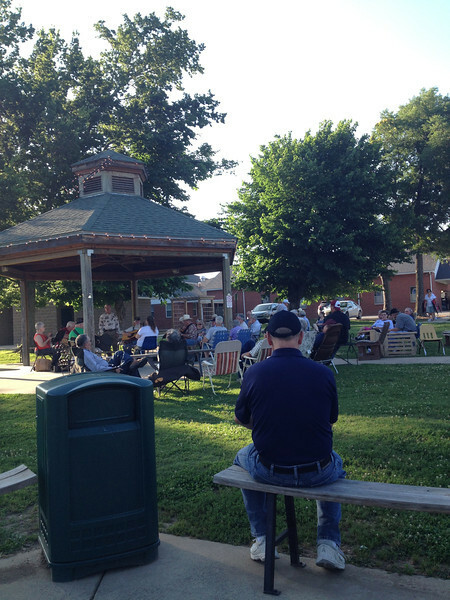 We finished the evening eating ice cream and listening to some local music. Jamie and I went back to the room and got in a game of cribbage before heading to bed. 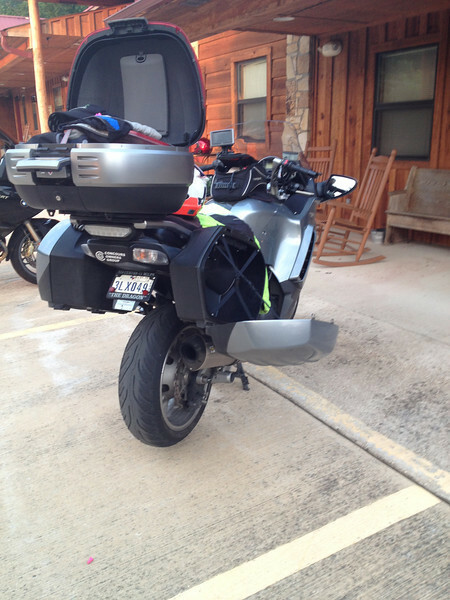 We were going to have a full day of riding ahead and wanted to be well rested. Tuesday broke with a bright sun and a very humid morning. It was awesome! 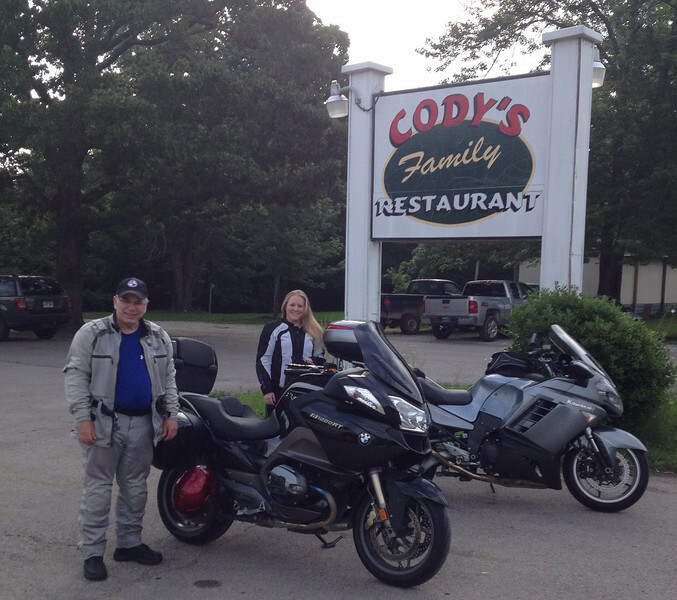 We got up and rode up to Cody's for breakfast. Of course you had to ride 87 to get there. Not a bad way to start the day. We had a nice breakfast and shot the few miles up to Push Mountain. After a spirited jaunt 14 miles up and then turning around and doing it again, the blood was pumping and the day was set. It would not disappoint. We did 123, 16 and many others. It was just a great day of riding. This route has become one of our favorites. It is a tiring day of riding but WOW! the roads are awesome and the pace is quick. 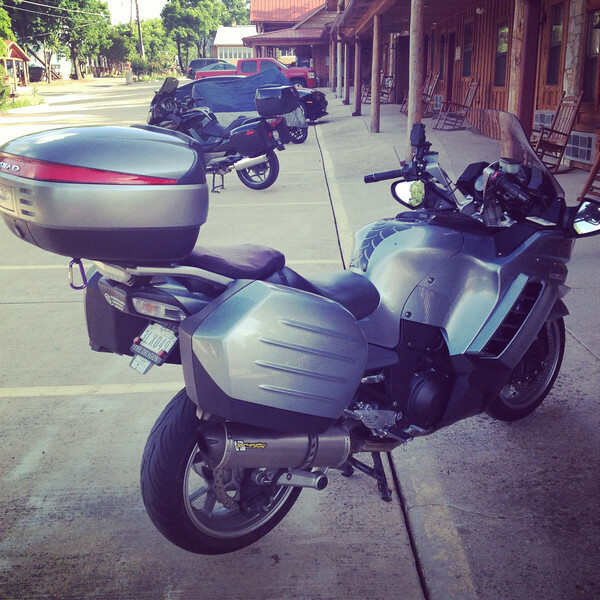 The reason I ride a sport touring motorcycle is for trips like this. It was an awesome day. 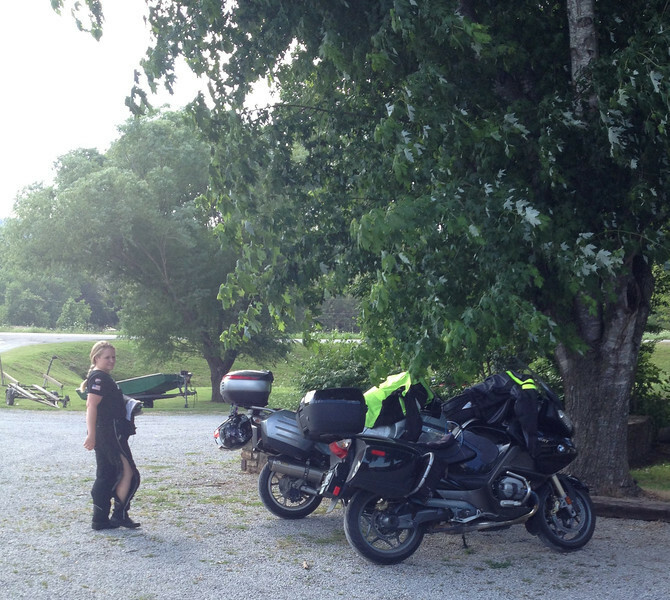 We got back into town around 4, took a little break and then headed out for some pizza and music. The pizza place was a little disappointing, but it was not going to ruin anything about the day. 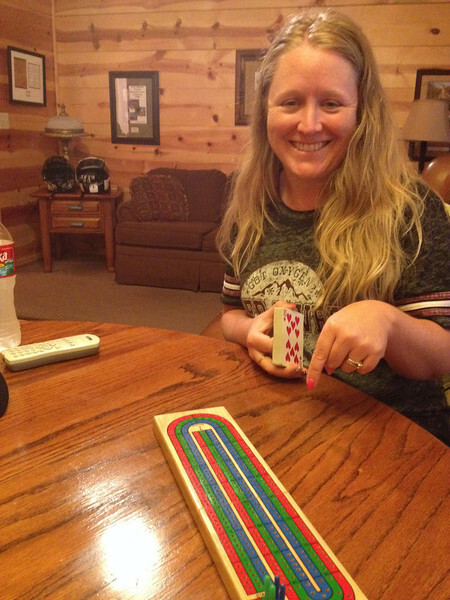 Jamie and I played cribbage again before heading to bed and I remember thinking to myself how great the day was. 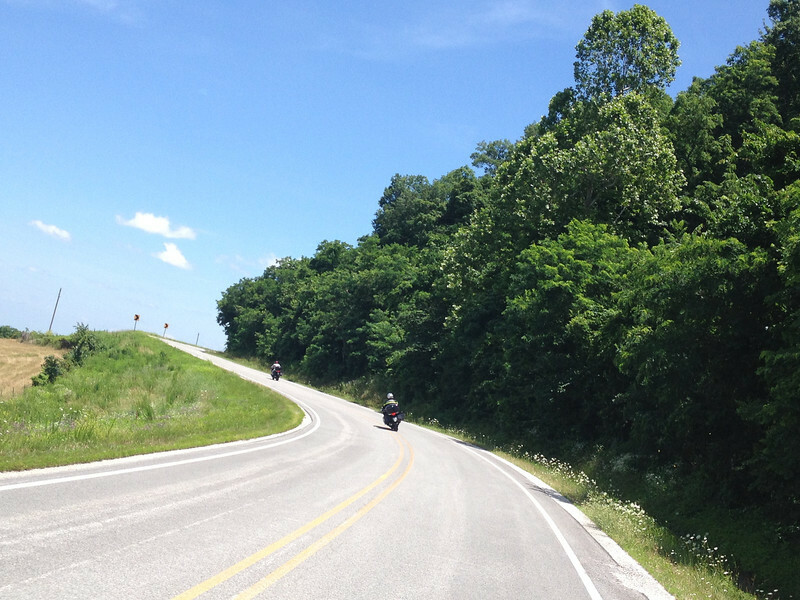 Awesome riding with Jackie and my beautiful wife, on some of the best roads in America. This is one day that will stay with me for awhile. Awesome stuff. 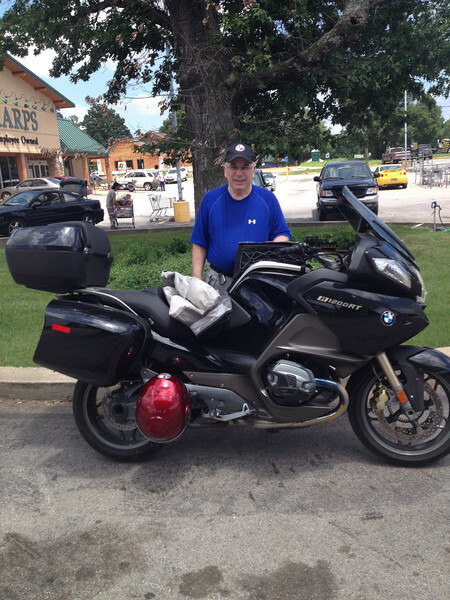 Herman got to join us for the Ride on Wednesday. 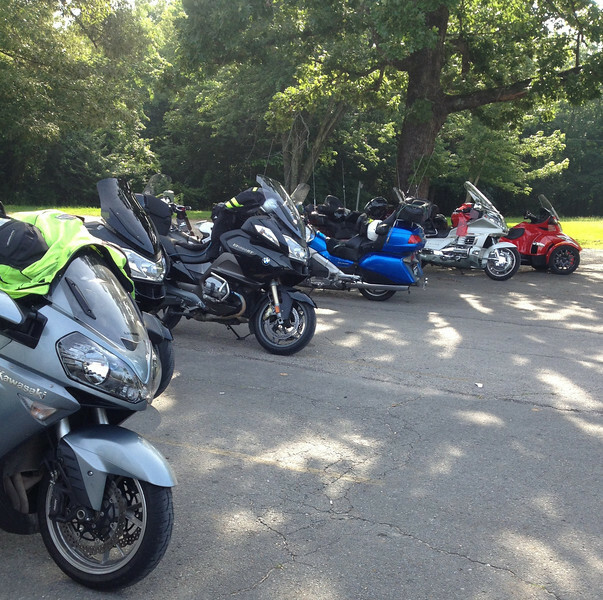 We did a route that the club will do for the fall colors ride. It went up into Missouri and played around up there for a few hours. 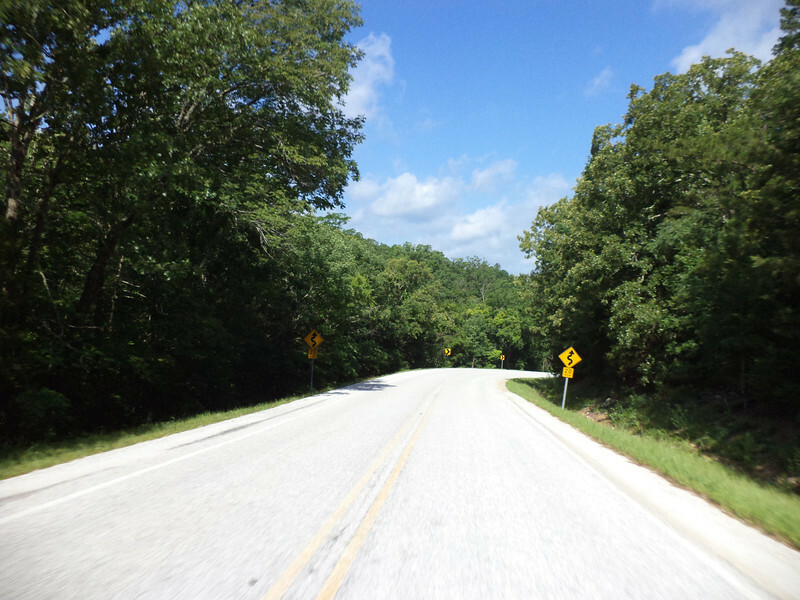 One road, I think it is 19 (I could be mistaken) feels like you are on a roller coaster. it goes up and down some serious hills over and over for many miles. It is pretty but by the time it ends I was starting to get nauseous. Jamie loved it but she is a freak. haha! I had forgotten how good AR9 is heading out of Melbourne to Mountain View. There are no bad roads in this part of the country. We also got to do Push Mountain again, so that always make for a great day of riding. 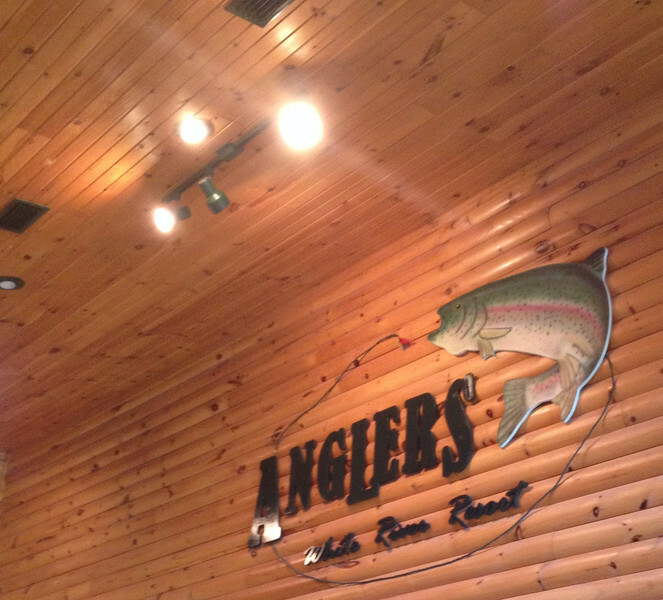 We stopped and had some Catfish at Anglers. 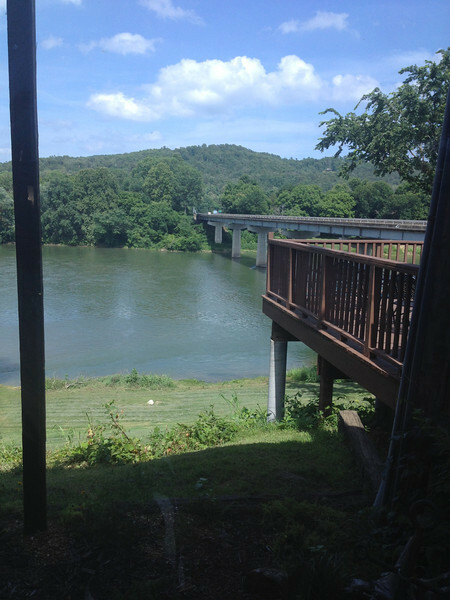 It is a nice place that has a good view of the river. We then headed back to the cabins to enjoy a nice shower. Jamie and I played more cribbage and we all hit the sack pretty early. The tempo had been set.. Ride..Eat..Ride.. cribbage..Sleep... REPEAT! I could get used to that schedule. 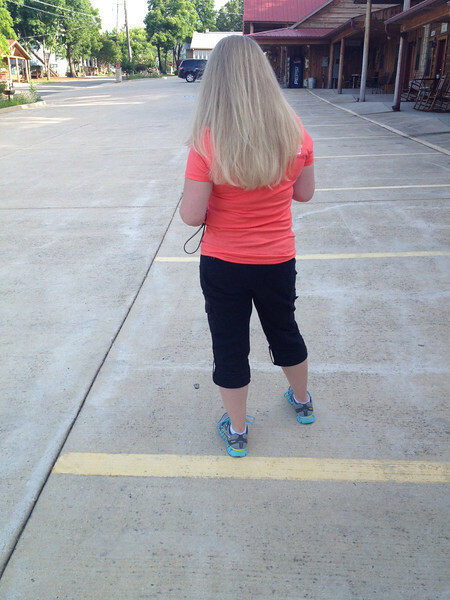 Thursday was our last full day in Arkansas. 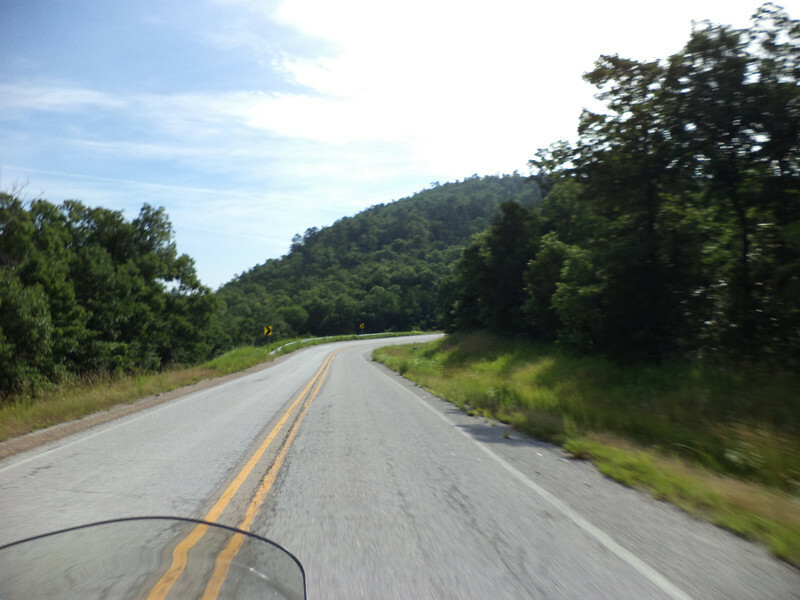 We decided to do a big loop enjoying the beauty and twisty roads of Northern Arkansas. 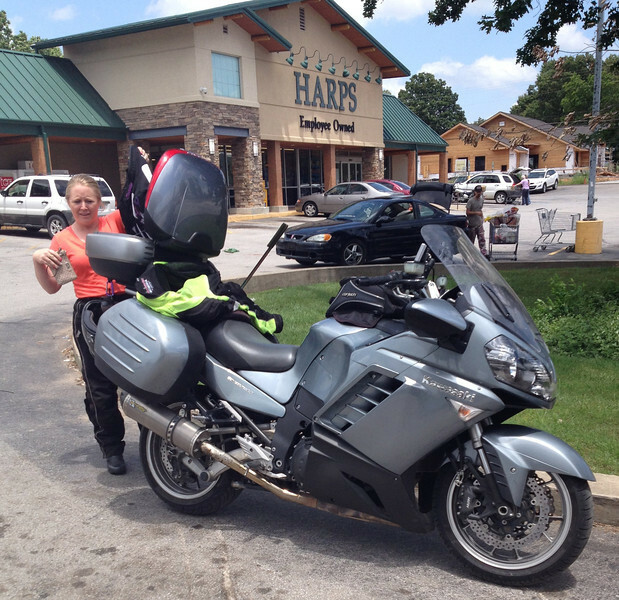 We had a nice lunch at the Ozark cafe in Jasper and the took in as many twisty roads as possible. It still amazes me on the lack of traffic in this area. 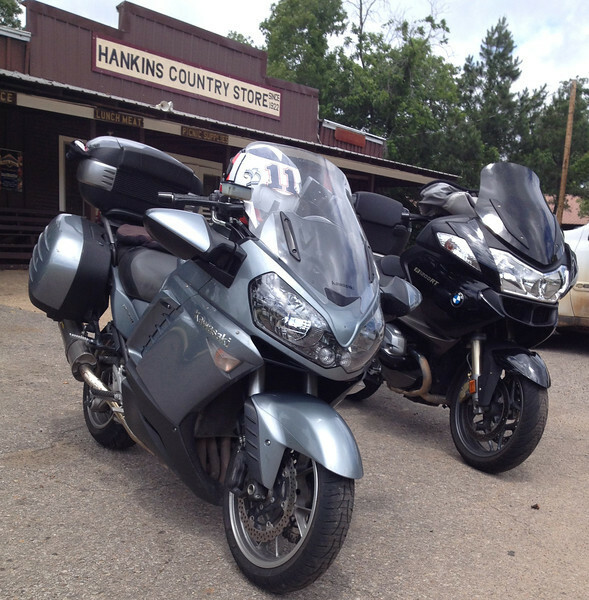 It is motorcycle heaven. 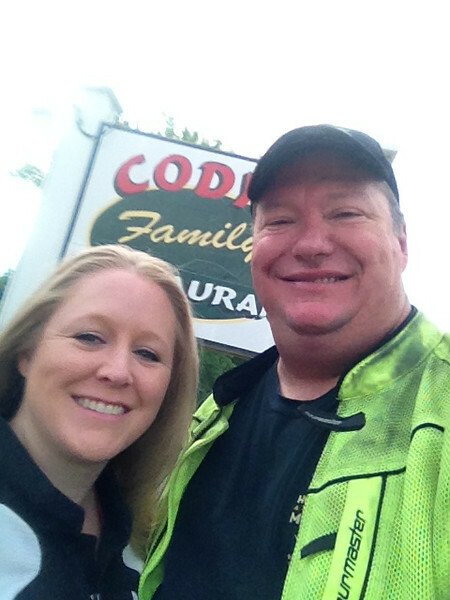 Yes we did breakfast at Cody's and rode Push Mountain to start the day. Why change a routine that is so very AWESOME! 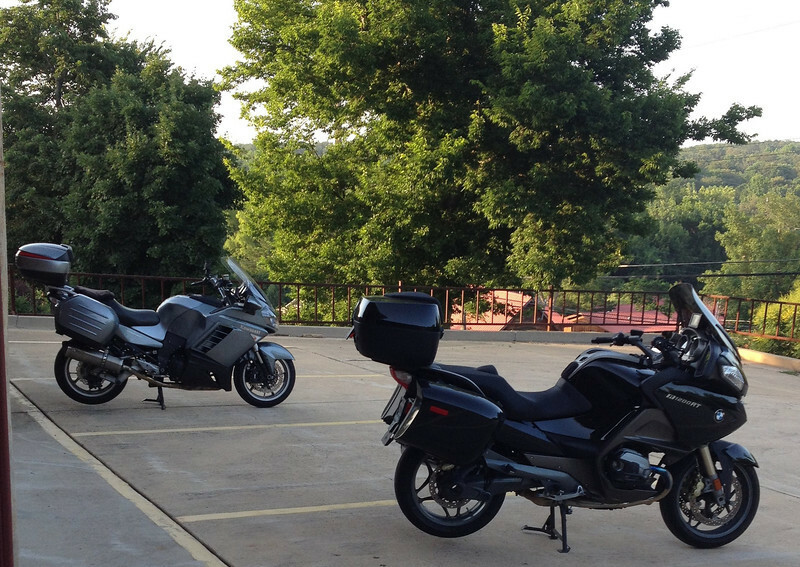 It was a great day of riding with good friends. 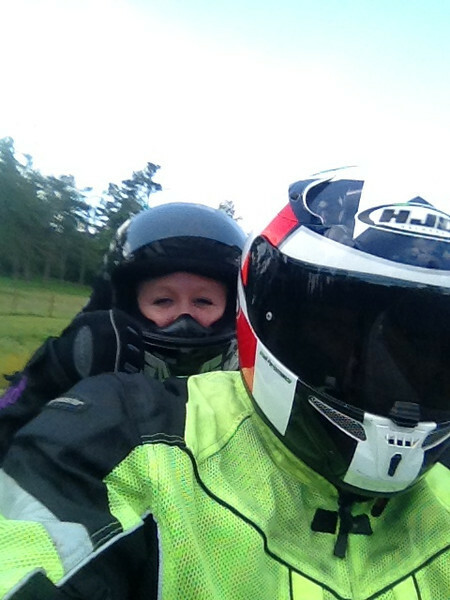 I have to mention how lucky I am to ride with my beautiful pillion. 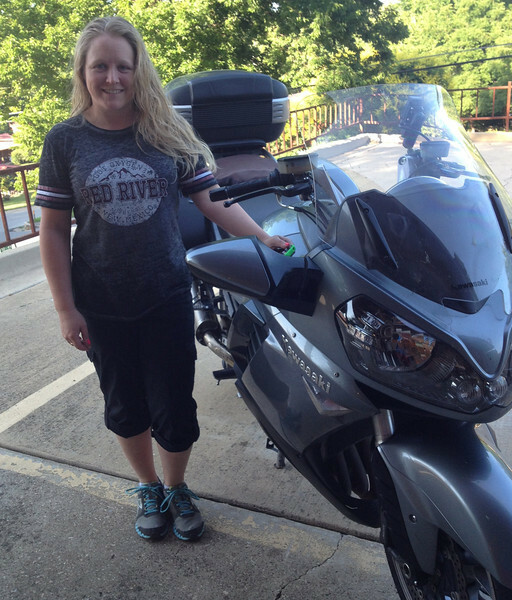 Not many women would take a week vacation to ride around on the back of a motorcycle, sometimes at a nice "Spirited" pace for 300 miles a day with a huge smile on her face. I am a lucky man. I hear it from our friends that ride with us, they say that when were getting down to the fun twisty stuff, they love watching the two of us act as one while on the bike. 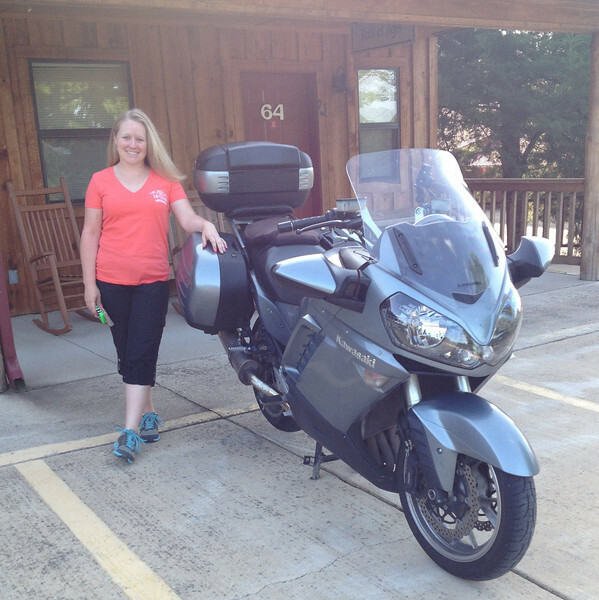 I love motorcycling and I love it even more knowing that my wife loves doing it with me. indeed I am a lucky man. Love you Jamie! Oh yeah I am always amazed at how she gets all of that hair in her helmet. She is a braiding fool at stops. Our week had come to an end. We decided to take the long way back home, even if the temps in the afternoon would be a tad high. 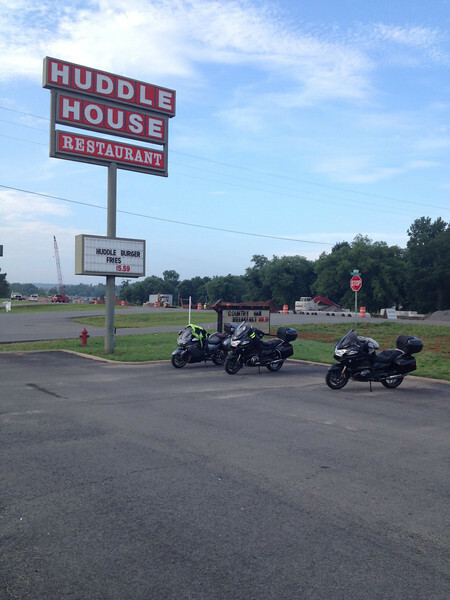 We stopped at a Huddle house for breakfast and then made our way back to the metroplex. 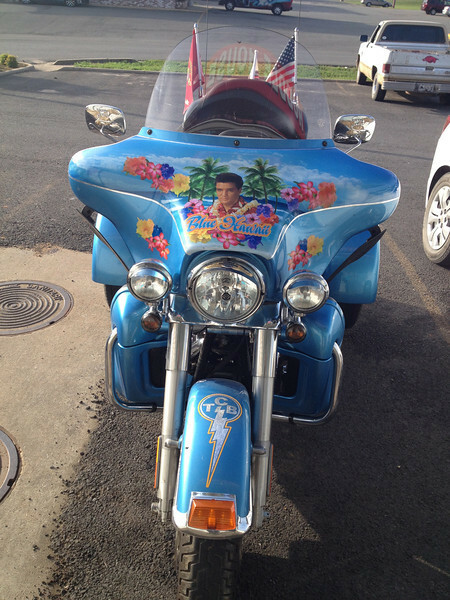 There was a guy on a Harley eating breakfast that was in love with Elvis. He loved to show it with his custom paint job. It was different to say the least. We got home around 4PM. It was hot. 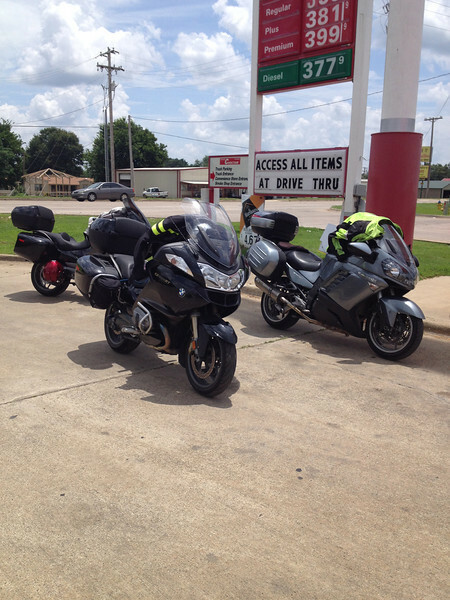 We did right around 1900 miles for the week. Not too shabby. 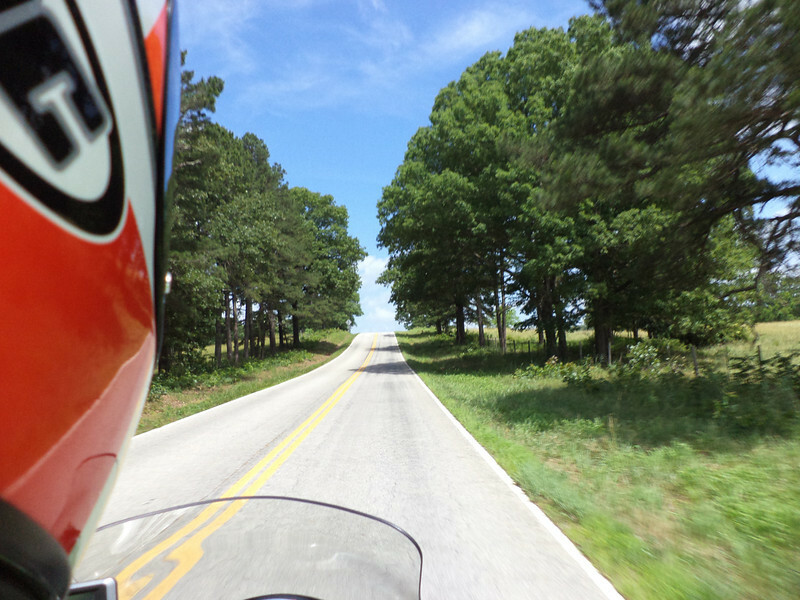 So until our next adventure, we will have to remember these fun times and great roads. It was awesome spending time with Jackie and Herman and of course my awesome wife over the past week. I am ready to do it again. Lets Ride! I have posted a couple of videos, turn down the sound as they are loud! You can see all of the pictures on our smugmug site. 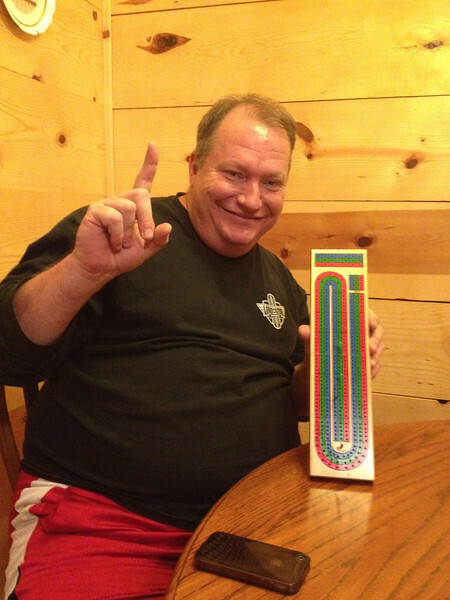 Oh yeah and I have to add that the reigning Cribbage Champion is ME!!! whoo hoo!